Dwyane Wade has been participating in a jersey exchange with players around the league as part of his final NBA season. 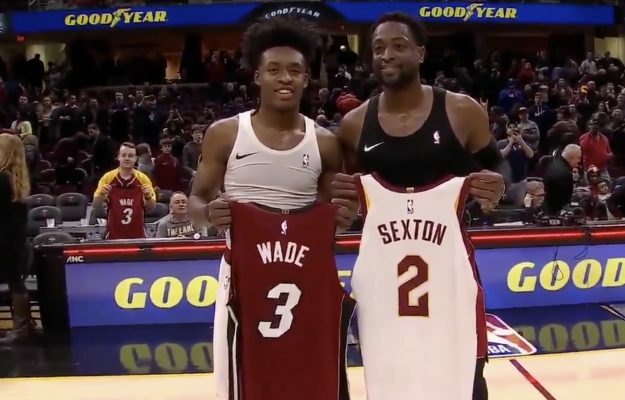 Following the Cleveland Cavaliers’ loss to the Miami Heat on Friday night, rookie point guard Collin Sexton was the lucky recipient of a Wade jersey of his very own. 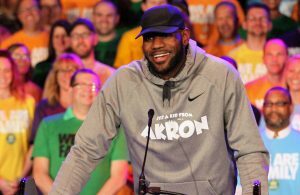 During the exchange, Miami’s play-by-play announcer Jason Jackson offered some encouraging insight into the exchange. While Sexton has certainly shown flashes this season and is currently enjoying a 14-game streak of double-digit scoring nights, he didn’t play particularly well in Friday’s loss. 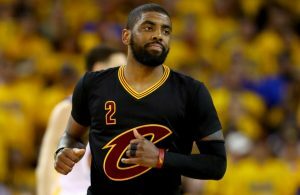 He finished the game with just 13 points on 30.8 percent shooting from the field. 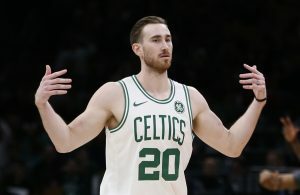 Despite the loss, it seems Sexton was truly excited to take part in the jersey exchange. Hopefully, Wade was able to bestow some sagely wisdom upon Sexton during their brief conversation following the swap.